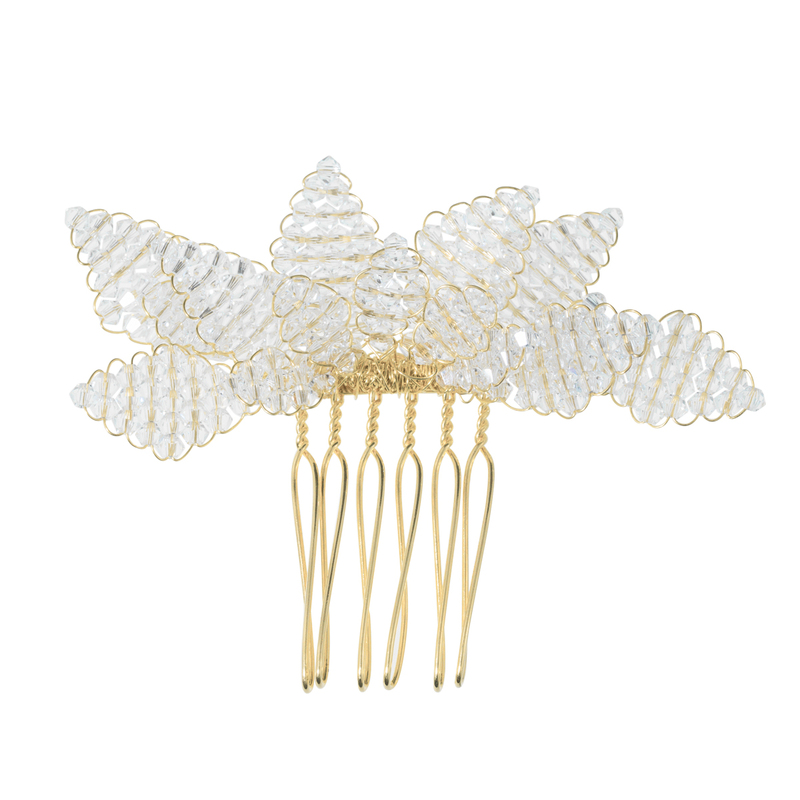 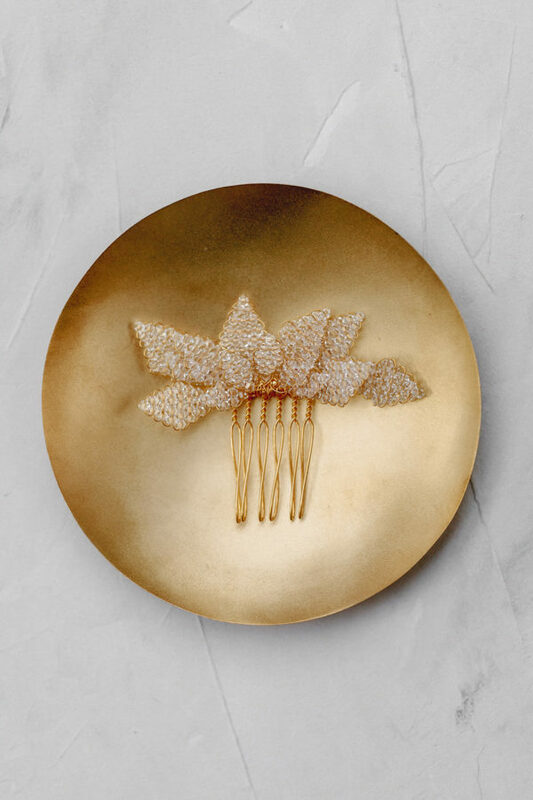 Expressive hair comb with ornate leaves shaped from small Swarovski crystals. 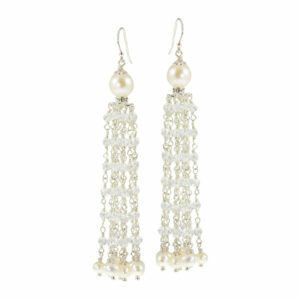 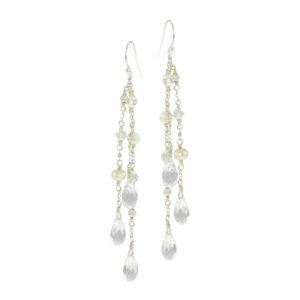 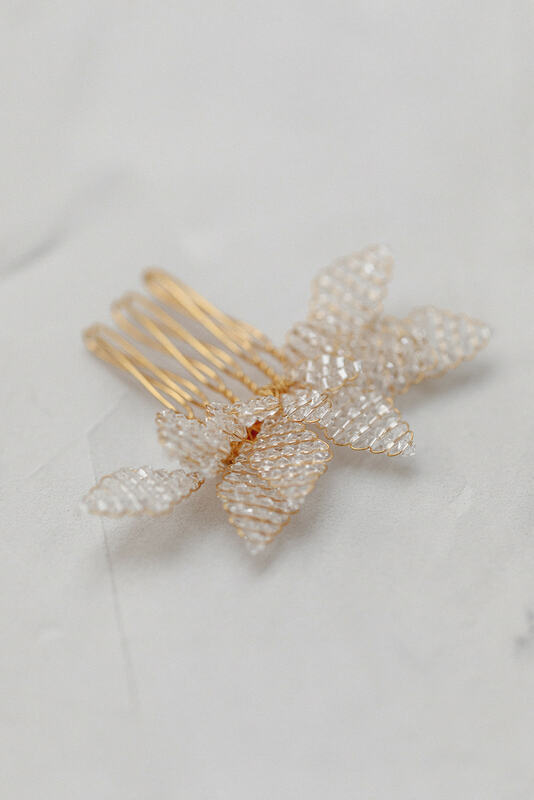 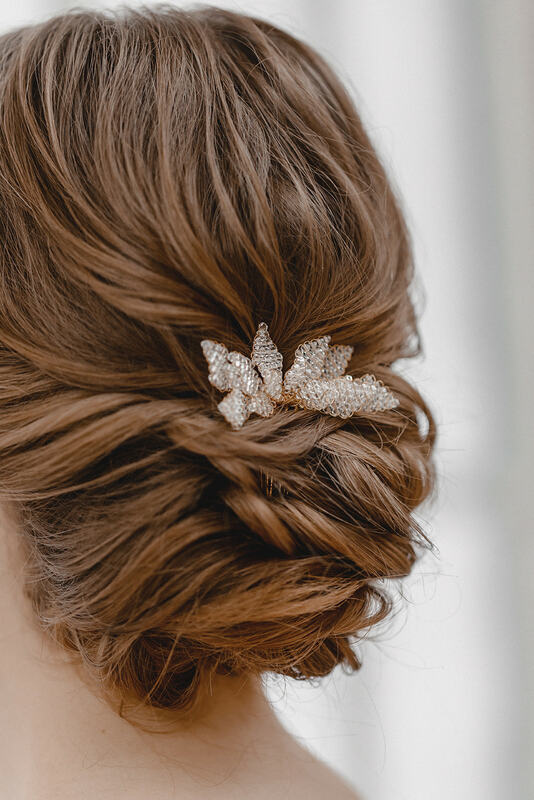 This hair comb excites with its attention to detail and creates a true eye-catcher in romantic up-dos. 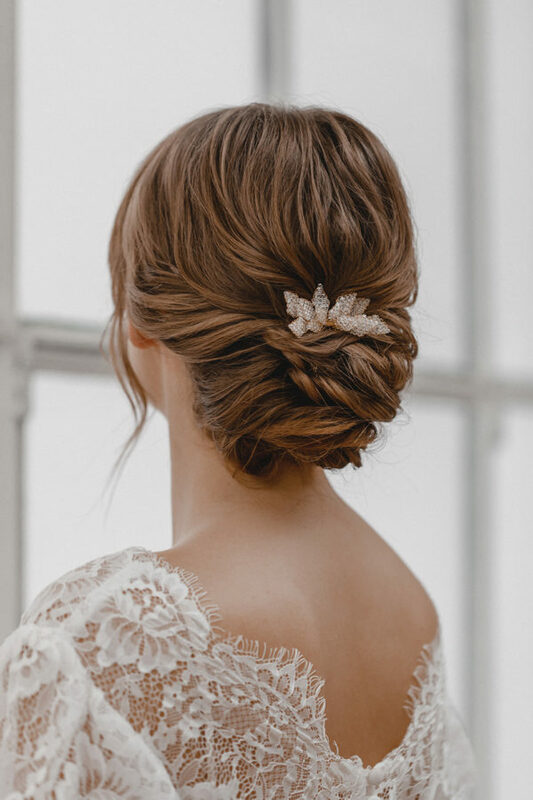 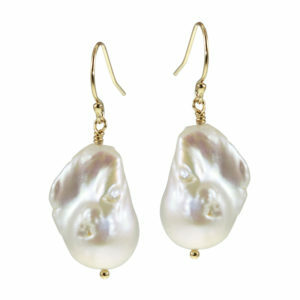 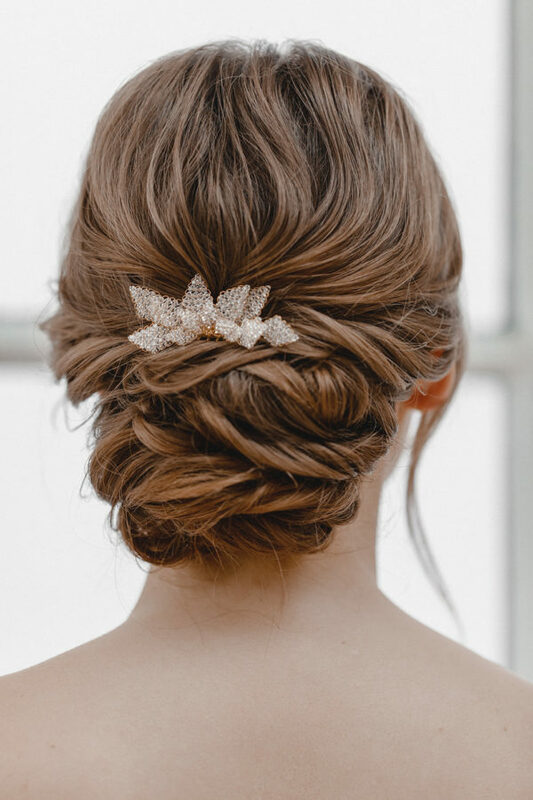 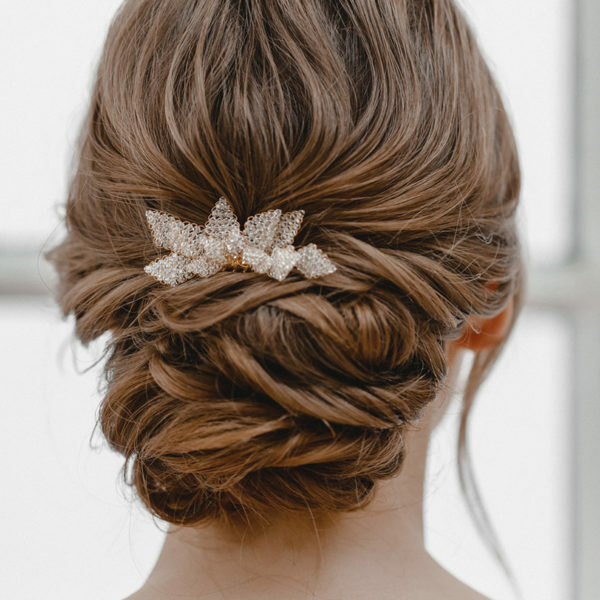 An ideal choice for all brides who are looking for a highly unique piece to create a distinctive focal point in their bridal hairstyle.